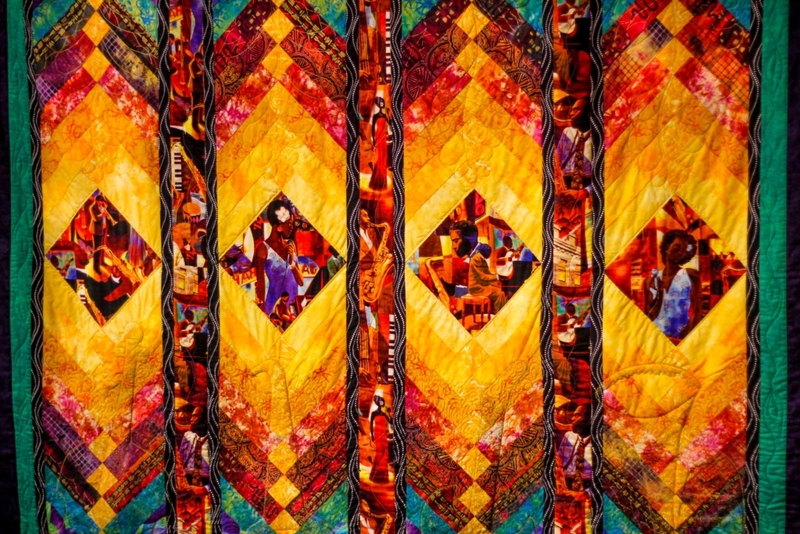 It's now or never to see a variety of stunning and visually-arresting quilts made by African-American women at N.C. Central University's Art Museum. The quilts, about 60 in total and made by over 30 women, are on display in a show titled "20 Years of Harmony: Stitches of a QUILTessential Sisterhood." The installation is presented by the African American Quilt Circle, which was founded by Bertie Howard, Candace Thomas and Helen R. Sanders in 1988.